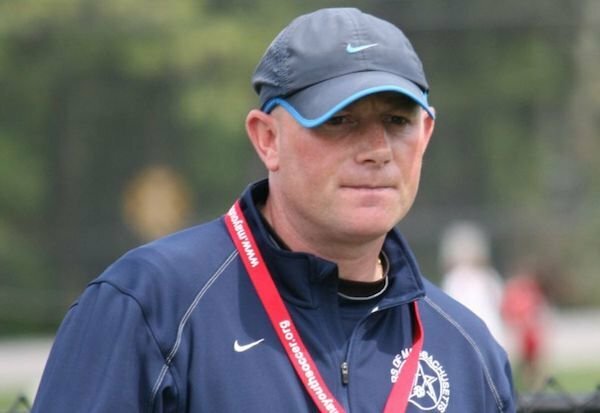 Following just one season of play in the U.S. Soccer Girls Development Academy, which kicked off in September of 2017, three major clubs, New Jersey-based Sky Blue-PDA, the Michigan Hawks and FC Stars of Massachusetts, announced they will not be returning to the DA for the 2018-19 season. All three clubs have been longtime members of the ECNL, the league in which their top teams will play in the 2018-19 season. We asked Jason Dewhurst, the FC Stars’ Director of Coaching, why his club is leaving the DA. Dewhurst is also a member of the ECNL Board of the Directors and since the early 2010s has served as a U.S. Soccer girls youth national team assistant coach and scout. SOCCER AMERICA: Why is FC Stars leaving the U.S. Soccer Development Academy? JASON DEWHURST: There are many different reasons. At the end of the day, we felt we had to do what was right for our membership. I have a great amount of respect for the U.S. Soccer Federation and the people involved with the Development Academy. This decision was more based about us than anything in the Federation. But there are certain restrictions that we thought were not best in line with our philosophy. … It could change, one day, with the Federation … I don’t know. SA: What was the main reason? JASON DEWHURST: The first one, for sure, was the substitution rule, specifically at U-14, U-15. We have the mindset that that is actually against player development. I know that the DA thinks it’s about player development and players managing minutes and coaches managing players, and I 100 percent understand that. But if you’re playing in a one-game weekend, which a lot of the time it is, some kids see 15-20 minutes of action, and that’s the only game time that they get in a week. For me that’s just not player development. Kids need to play. The training environment is very, very important and we have a great training environment. But at the end of the day, these kids also need to play to develop. For us, that was a huge point of contention for our families and the players, too. JASON DEWHURST: For us, with the no-entry it became tough, especially with the one-game weekends. Kids just weren’t seeing as much playing time. On the other side of that, the no outside competition. That really kind of went away from our philosophy. But because of the rule of the no outside competition, we weren’t able to do that. So that was one of the big things for us and we didn’t see that changing. That was something we constantly heard about from our members, parents. SA: What was another important issue? JASON DEWHURST: The second one I would say is the double age group, specifically next year at the 2002, 2003 age group. For example, we have a current U-15 team, 2003s, and these players have given up high school soccer, they’ve committed to the DA, they’ve committed to our program. And then within a year, more than likely, more than half those kids will probably be cut from the program, because it goes to a double age group -- to 02/03 [in 2018-19, U-16/17]. For us, we thought that was unacceptable for those players. To come in and give up high school soccer is a huge deal in our area. That caused a lot of anxiety from the parents as the season is coming to an end. What are we going to do next year? That was something we brought up whenever we spoke to the Federation. We said we would like to see the single age group, and obviously that hasn’t happened. SA: Kids having to sacrifice playing high school soccer to commit to the DA ... was that one of the main issues? For us, we made that decision from Day 1. We stood by it. But the reality is that prohibited a lot of our top players from playing in the DA. And that would have continued. Other clubs have done waivers. SA: These issues -- the sub rules, ban on outside competition and high school play -- are ones the Federation doesn’t plan on altering? JASON DEWHURST: They were three things we shared with the Federation. We’ve been very upfront about it. We’ve had very civil conversations with the Federation about what we’ve done, and the reasons we’ve done it and the process, so now we’ll move on. SA: When U.S. Soccer launched the DA, there were some who predicted that top clubs and players would eventually migrate to the DA. How do you things will look five years from now? JASON DEWHURST: I really don’t know. At the end of the day, we looked at it from our club’s standpoint. We did it because throughout the year the feedback we got from our families and that’s how we made the decision, because we thought it was the best for our club [to leave the DA]. Other clubs, the DA works for them, in different markets. I’m not going to say one’s better than the other. SA: When I interviewed Anson Dorrance in February, he suggested U.S. Soccer “marry together” the Girls DA and the ECNL. Can you imagine a future in which the DA and the ECNL work together? JASON DEWHURST: I don’t think I can even comment on that because I don’t know. People have said it would be great if they could work together. Right now, they’re two separate entities. 17 comments about "Leaving the Development Academy: FC Stars director Jason Dewhurst explains why". Wooden Ships, April 18, 2018 at 7:20 p.m. Even if you’re affiliated, you’re excluded. And, so many talented youth players aren’t affiliated at all. What a mess. Bob Ashpole replied, April 18, 2018 at 10:31 p.m. It seems like the further people are from the field, the more they lose sight of what youth soccer is about. Anson Dorrance believes NCAA substitution rules are better for development than unmodified FIFA. He and Coach Dewhurst make sense to me. The worst part may be USSF's reaction to clubs leaving the DA. I am with you WS. USSF needs to be more inclusive, and the DA (as implemented) is a step in the wrong direction. s fatschel, April 18, 2018 at 9:05 p.m. This club is better off leaving the DA. High school soccer? Can't manage playing time? Can't commit to players for 2 years. Really? Wow. R2 Dad, April 18, 2018 at 10:38 p.m.
Public highschools don't want to let you play multiple overlapping sports, clubs don't want to let you play highschool. This coach and his parents want to allow players to compete two days in a row. Seems to me, if the coach was really interested in player welfare, he would be encouraging players to crosstrain on the 2nd weekend day instead, in order to avoid repetitive stress injuries that plague our year-round soccer-playing kids, no? Wooden Ships replied, April 19, 2018 at 1:04 a.m.
R2, you raise a really important question. Our youth/club soccer players really aren’t getting proper recovery. Been that way for years. When I was coaching college it was discouraging to see how many players, that I was recruiting, suffer through the process. I don’t recall any that had sufficient rest/recovery. The machine chewed most up and spit them out. The machine was club coaches, parents and college coaches. All involved need to put health first, which also reduces burnout. Cross training, variety, should be a given. It should also be conveyed/understood that training should be somewhat like an IEP. frank schoon replied, April 19, 2018 at 1:10 p.m.
Bottom Line ,exactly!, you are absolutely RIGHT!!. I've had the same problem coaching a club team while some of my players were playing HS ball. It doesn't work and it's physically debilitating to the kids. HS ball does nothing for the individual player development for HS ball is focuses on team oriented play and training. In sum, both DA and HS seem to accent too much on team oriented development. What kids need up to their 18th year is a fully rounded individual technical development program which neither the DA or HS(obviously) offers. These kids as they reach their 18th should be able to use both feet dribbling, shooting, receiving, crossing which is NOT THE CASE. It is much easier to teach and learn team oriented play then individual technical development for that is a SKILL, which can only be learned through shear doing and practicing over and over which takes much longer , more time. Telling a player or teach him where to move in a position takes a lot less time than learning to dribble under pressure and make an accurate 40 yard cross to a teammate on the run landing right in front of him. Looking back 50years ,the skill level has not improved but only grown horizontally, and therefore HS, DA , whatever you call it, and whatever is going between the two points out why are development of our players is not going in the right direction. s fatschel, April 19, 2018 at 4:29 a.m. Seems like this club wanted the status of the DA without the commitments. The substitution rule is there to reduce frantic play and is consistent with rest of the world at the elite level. Most DA games are two a weekend but when there is one the coaches travel roster needs to be smaller. The benefits to training 4x week with kids older who are at the highest level outweigh tournament based weekend. DA is not for everyone. Wooden Ships replied, April 19, 2018 at 9:46 a.m. Damn s, those are good insights. humble 1 replied, April 19, 2018 at 10:44 a.m.
'DA is not for everyone' argument is a dangerous go-to quip used by many. When the final analysis is done of DA some time down the road after it either goes away or evolves into a more open dynamic structure - it will be it's closed elitist approach reaching back far too early in the player development cycle at the root of it's failure to produce world class players, let alone players that can compete in our region. As it is now it is the blind leading the blind - all with the best of intentions mind you. There is a very good chance that it's impact on the ladies game may be it's undoing. If I'm proven wrong I'll be a happy fool. beautiful game, April 19, 2018 at 10:53 a.m.
USSF remains in a comatose state of permanent control. Instead of testing new DA approaches on a regional basis, it demands total fidelity to its antiquated perceptions. s fatschel, April 19, 2018 at 12:13 p.m.
Why is that dangerous? Majority of kids not looking to play in college or pro or meet 10000 hours and are just fine with less commitment than required by DA. Keep multiple paths. But for the highest level player what do you suggest the DA change besides reducing the travel issue? Bob Ashpole replied, April 19, 2018 at 4:05 p.m. The DA clubs vary from amateur clubs to professional clubs. There is not just one common set of problems. s fatschel, April 19, 2018 at 5:04 p.m.
Would be great to hear specifics. Having been heavily involved in all those leagues the only ligitimate issue I can come up with for the DA is travel distance. The independent clubs are not free like MLS but the pay to play issue is across all the leagues. Bob Ashpole replied, April 19, 2018 at 6:56 p.m. I cannot give you specifics about club problems, but the biggest problem I have with USSF's DA is the league approach itself. The DA approach doesn't add new development opportunities. Instead it competes with USSF members for clubs and players. It changes nothing in development. It uses the same league-team approach to "player" development. I would much rather see USSF implement the German approach of providing breakout training locally to the top teen players not in professional clubs, supplemental to their club training and matches. It is entirely focused on identification and training of elite players. The program doesn't form teams and play matches. Full time professional coaches employed by the FA run the program so there are no conflicts of interest, no using the program on the side to recruit for a club. I think of it as ODP on steroids minus ODP organized teams and tournaments. s fatschel, April 19, 2018 at 7:51 p.m. I believe the german system has both break out training and league-team. It would be a good addition to DA, US Club, etc in my opinion. One of the presidential candidates proposed that also. USSF training centers don't meet very often and ODP in my state only meets once per week in the spring. Bob Ashpole replied, April 19, 2018 at 10:14 p.m. I suspect you are referring to the youth academies at the Bundesliga (1 and 2) clubs. The local training ("regional centers") provides opportunities for the best players who are not admitted to one of those youth academies. The idea is that this casts a wider net and that some of the regional training program players will eventually make it to the professional youth academies, which they might not have done without the local training program. R2 Dad, April 22, 2018 at 7:13 p.m.
On the girls side I see less of a benefit to DA participation, but on the boys side I believe there is better officiating and that is a big incentive to play in that league. Badly behaved coaches will build a reputation that might hurt them in the wallet down the road, so they're not likely to throw a hissy-fit if they know the league is tracking their behavior. This results in better working conditions for refs.